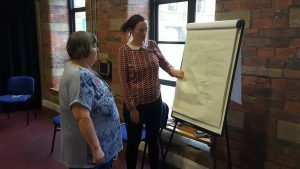 After 29 years of working with and for disabled and Deaf people in the North West we are sad to announce the closure of Full Circle Arts. Unfortunately following successive funding cuts it’s simply no longer viable for us to continue. We are proud to have supported the arts sector to be more accessible, not just by changing buildings physically, but by challenging people’s attitudes. We brought disability rights to the attention of cultural leaders. We have worked with many young people over the years. It has been a pleasure to see them grow and develop their own cultural organisations; using the experiences and mentoring provided by FCA. We’d like to thank all the wonderful artists, young people, and organisations we have worked with to make this all possible. 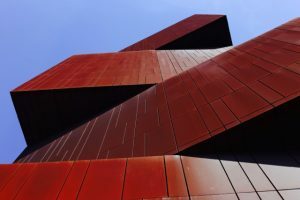 We applaud the current focus on diversity in the sector and hope that the North West continues to pave the way for inclusivity within the arts. “I recently graduated from UWTSD with a first class BA hons in Acting. Stand up comedy, photography and acting are the three things I am most passionate about. I have been registered blind since birth and have found expressing myself through these three mediums most enjoyable and effective. I plan to move to Cardiff soon to pursue a career in one of these, if not all three disciplines. I believe to establish a career in the creative industry, you must be diverse and have many skills to offer and utilise. I have received formal acting training and feel confident entering that industry. I would now like to concentrate on photography. Everything I have learnt about this art form so far has been from online resources, trial and error and my own general curiosity. Developing my technical knowledge and practical photography skills are two things I believe will kick start a successful and professional career. I was so excited to find out i had been awarded funding by Full Circle Arts to take part in not 1 but 2 accredited programmes of photography at Chapter Arts centres Ffotogallery in Cardiff, Wales. 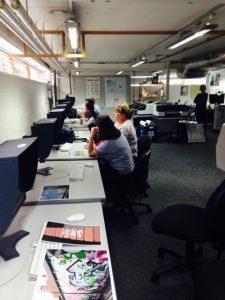 The classes are artist-led and take place in small groups in an enjoyable informal atmosphere. 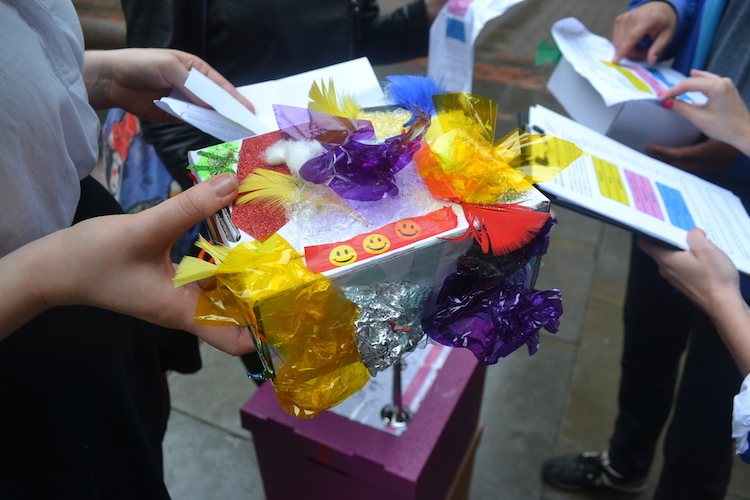 Students are encouraged to develop their ideas and knowledge through a series of practical projects. “My name is Lynn Williams and I have been with Mind the Gap for a long time. I have been involved in many of their shows including The Pied Piper (2001) and The Emperors New Clothes (2003). I took a few years out from Mind the Gap, during which time I won a gold medal for Powerlifting at the 2011 Special Olympics World Summer Games in Athens. I was also chosen to be a torchbearer in Goole for the 2012 Olympics. I returned to Mind the Gap in 2014 and have been an Ambassador for the company ever since. I’m thrilled to receive £1,000 funding from Full Circle Arts to build comedy skills to help me create my my own two woman show with my friend Susan Middleton called Williams & Middleton. 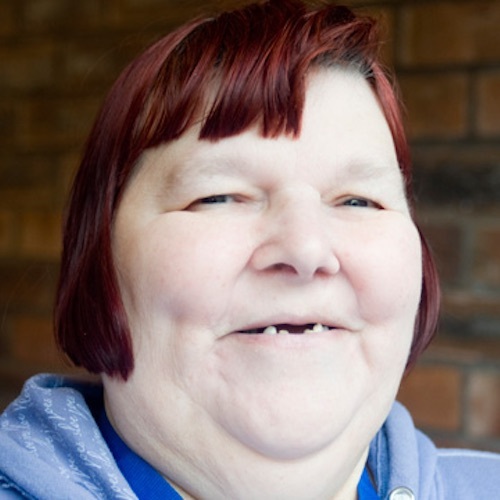 The show will be about two larger ladies with a learning disability. I was inspired to create the show by the wonderful, fun and cheeky postcards by artist Beryl Cook. The show will be funny and slapstick and audiences will hopefully enjoy watching the relationship between the two women. 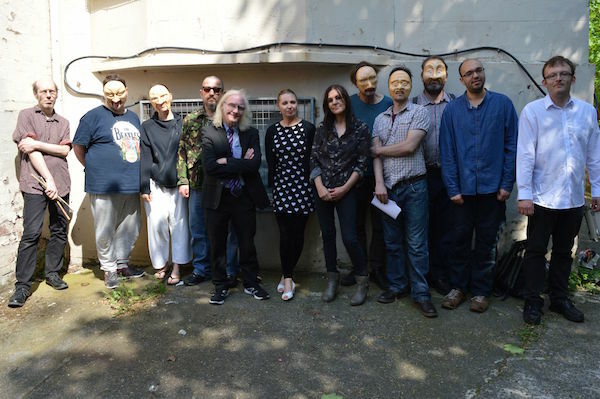 I am using the funding to work with actors Chris & Rio Hannon to develop my skills in comedy. Chris is well known as a panto dame and he is teaching me and Susan how to create larger than life characters. “Following the exciting news of receiving bursary support from Full Circle Arts I quickly booked my place on an upcoming Digital Photography course at Leeds College of Arts. 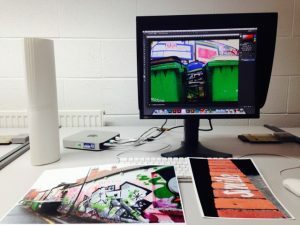 Designed to improve my skills in the area and enable me to put on a higher quality photographic exhibition alongside a new series of paintings. My practice considers the fragility of our environments, looking at the bond between urban development and natural landscapes. Therefore the new planned photographic project is aligned to this and will focus on how man’s interventions have disrupted the landscape around us, thus changing how nature exists. 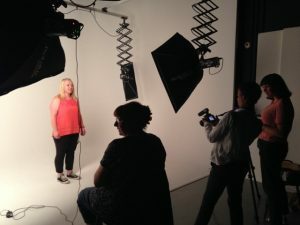 The four day photographic course involved intensive workshops surrounding the use of the camera and we were able to go out on location as well as utilise the college’s fantastic studio facilities. 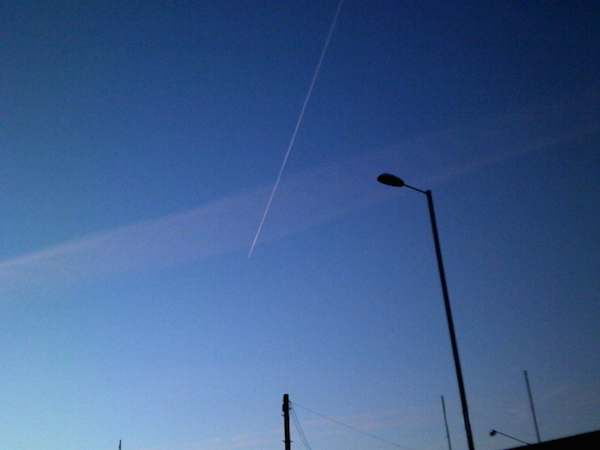 I found that whilst I knew how to use a camera, I was only utilising it in its most basic capacity. My ability to judge lighting, the angles I wanted to view certain aspects of the landscape, through to freezing frames and panning action-based shots grew as I gained confidence. There’s no doubt it was a steep learning curve but one that I thoroughly enjoyed. Having to deal with some of my physical weaknesses definitely added to the challenge of implementing my new skills, such as weakness in my arms from holding a heavy camera for prolonged periods and simple acts like closing my left eyelid as I looked through the viewfinder. All traits of the rare neurological disease, Myasthenia Gravis, that I suffer from. Earlier this week I also had my first session with Mark Devereux Projects. Led by Director, Mark, he is working closely with me to implement a programme of CPD sessions ensuring I receive comprehensive advice and support over the next 3 months. 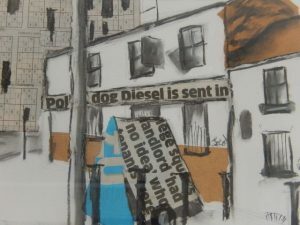 These are tailored to improve my ways of thinking and help me to connect my work in a wider context to contemporary landscape art. They will also give me a structure for the future and provide advice on marketing and business development including my online portfolio and website. As a result of attending both the course and first CPD session I am analysing my identity as an artist and recognising my core ideas which will in turn affect how the new photographic project will be structured. This will ensure I am focused on what I want to achieve and the resulting exhibition at The Gallery at St Georges House in Bolton later this year will not only engage new audiences, but hopefully lead to more exciting future opportunities. 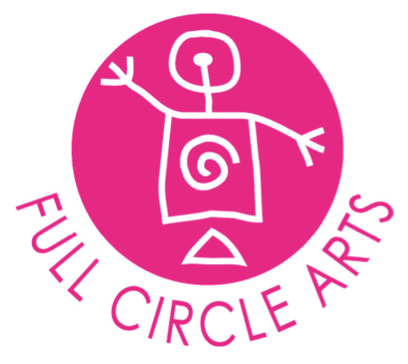 Full Circle Arts is pleased to announce that they have offered ten bursaries of a maximum of £1000 to emerging disabled artists or disabled led arts groups. 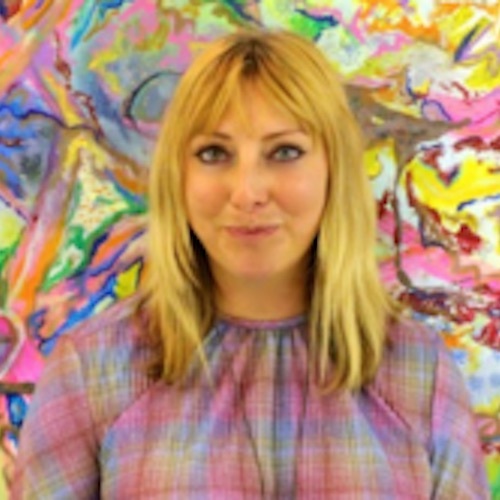 “I am a practising Visual Artist based in Warrington, predominantly focused on painting, as well as photography and sculpture. I have spent the last couple of years building a body of work that considers the fragility of our environments, looking at the bond between urban development and natural landscapes. Watch this space for progress updates! Box Society is a game, developed by Full Circle Arts and Playfuel, about our society and the pressures to fit in with different means and abilities. 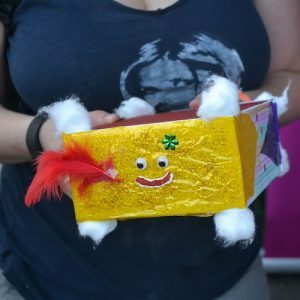 The aim of the project was to create a fun, irreverent, provoking game that challenged people’s understanding and preconceptions about disability. 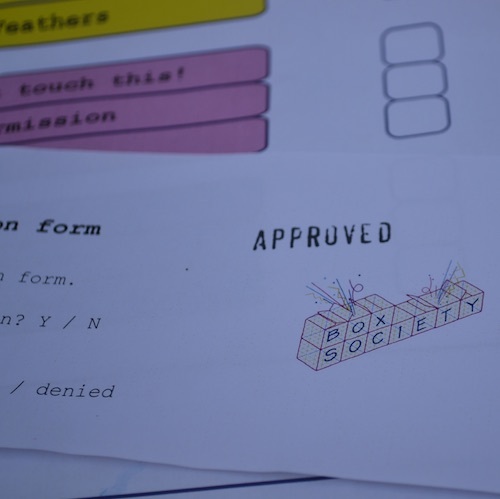 During the development, we worked with a group of disabled artists and designers who passed on a wealth of stories about annoying access problems, form filling to prove your impairments and instances of everyday disablism. We were delighted to run the game at Hazard Festival, in St. Ann’s Square on the 9th July, and at Levenshulme Community Market, on July 29th. Hazard is a biennial micro-festival of intervention and sited performance, seeking to blur the boundaries between art and activism. Although it bucketed it down with rain for most of the morning, the skies cleared and we ran Box Society for the first time. During the day over 60 people played the game, from small children to OAPs! 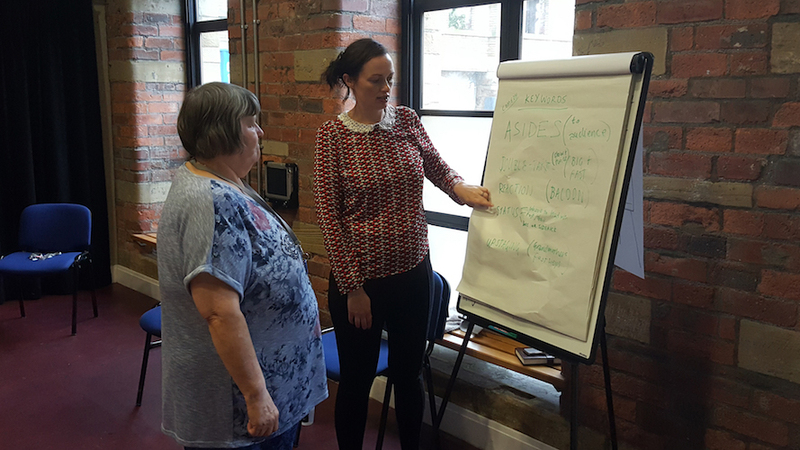 It was great to see people waltzing around St.Ann’s square, skipping along with their PAs and really getting into the challenges. We ran the game for a second time at Levenshulme Community Market, a community minded collective who run a market every Saturday and who seek out community incentives to include. 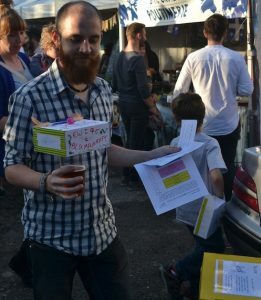 Thanks to a gloriously sunny evening, the market was packed full when we played Box Society, giving it a really different feel. We had people running around the market to find the challenges and engaging onlookers with challenges where they needed help. Wicked Fish is a Liverpool based theatre and creative arts company. The core company comprises five Disabled People, three of whom are performers who have Learning Difficulties. The company was established in 2003. We work as a team to create and deliver performances, workshops, heritage and training projects, in arts, community and education venues. We devise all our own work and have developed our own accessible style of learning. We have worked with partners in Germany, Bulgaria, The Netherlands, Lithuania, Spain and Portugal. Our performers are Jane Fradley, Nicola Brooks and Neil Bramwell. 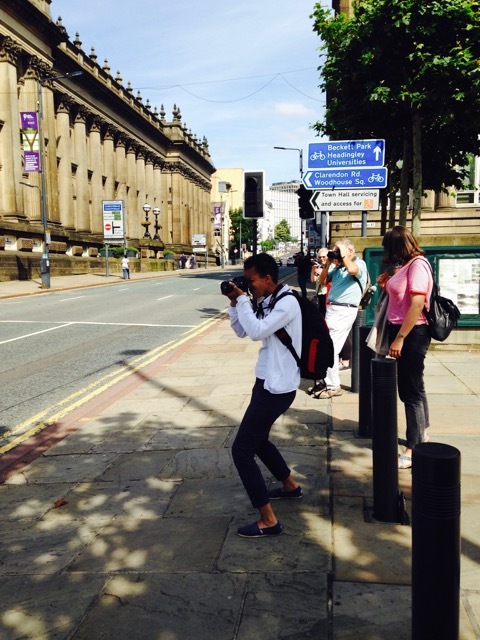 The bursary from Full Circle Arts will be used for filming training. “I’m an up and coming musician with a disability. I am still trying to break in to the music industry. Although I have some material that I have written and recorded, I feel that better quality work that can be used for publicity and promotion of me as an artist would be the best approach to gain opportunities to perform. Working with Leroy, my producer, will improve me as an artist. I will create new networks with highly skilled musicians. My work that’s produced will be of a high standard. This will be a catalyst for me as an artist. Leroy is a very experienced, multi-instrumentalist musician who will improve me as a song writer and a performer. The FCA fund will support the costs that I will incur in this process – creating high-standard music for the publicity and development of me as an artist. 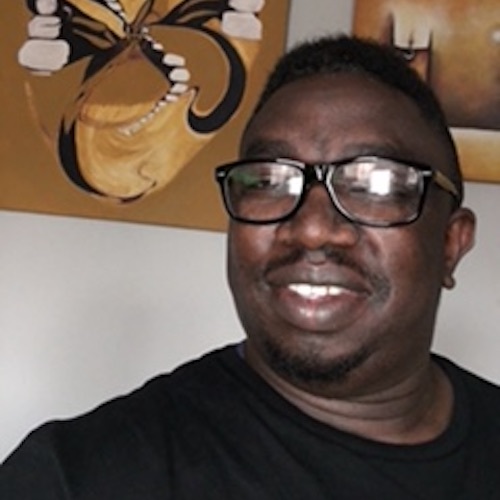 “I am a qualified teacher and facilitator and at other times I am an artist who is dedicated to try and make theatre more inclusive and accessible. I am always exploring new ways to express my creativity and learning new performance skills. 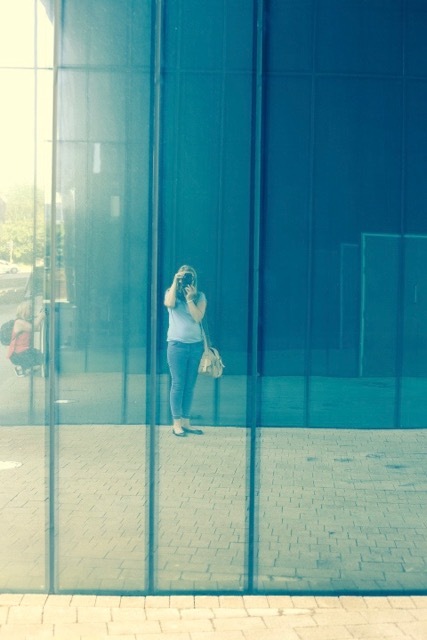 I regularly attend theatre productions and reflect on ways to they could be made accessible. I am an advocate for change within drama and theatre in Wales, challenging prejudices and judgments of the people with disabilities within the Arts. When I am not doing this, my time is well spent eating Jaffa Cakes. My project, ‘Louder Is Not Always Clearer’ is originated from my life experience and I want to explore communication through movement, and investigate how it feels to be isolated and frustrated through failure at communication. 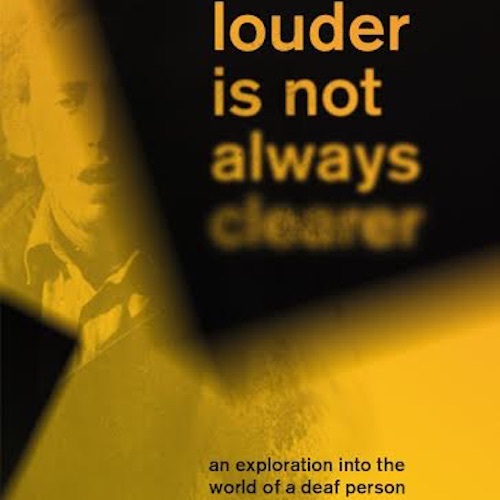 ‘Louder Is Not Always Clearer’ will be an interactive performance that will draw the audience into a deaf person’s world. 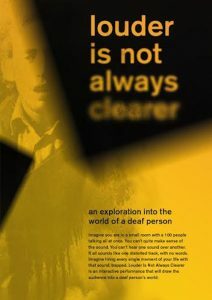 It will offer people the experience of living in a deaf world. I want the audience to leave the performance with an a sense of what it is like to be a deaf person. Have you ever wondered what it is like for a deaf person trapped in a hearing world? Imagine you are walking through a park, you are looking at a baby in a pushchair crying, an elderly couple talking on a bench, the wind blowing the leaves in the trees, a dog barking, a group of teenagers playing football, a couple having a tearful argument, a person on a bike, another on the phone…then imagine all those unique individual sounds as a single hum. This is my world as a deaf person. I like to describe the noise as being in a small room with a hundred people talking all at once. You can’t make sense of it. You can’t hear one person over another. It all sounds like one distorted track, with no words. Imagine you are now past the park and living every single moment of your life with that sound, like you are trapped in that small room of noise. You are on a date, you are driving a car, you are in a restaurant, you are having a drink at the pub with some friends, you are at a gig, you are in the supermarket. 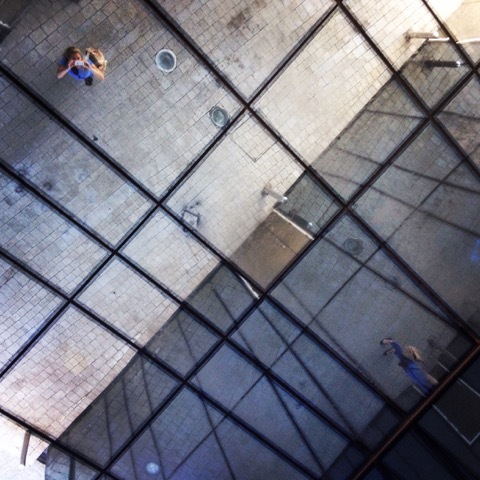 This is what is has been like for me all my life…trapped. This project will provide the foundation for further development of my project as I am looking to take this to the R&D phase. 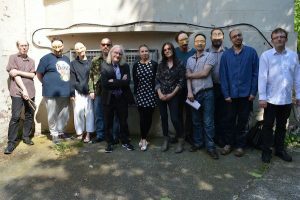 It was initially funded by National Theatre Wales’s WalesLab (https://www.nationaltheatrewales.org/waleslab) which set the groundwork of supporting me by bringing in two hearing and one deaf actors to work with me. During that week, we told stories, played and we developed a shared language in how we communicate through movements. I am very fortunate that Full Circle Arts has now given me that opportunity to bring in a Visual Vernacular Artist to help us how we develop stories without using verbal language. I am hoping that by doing Visual Vernacular which will be the answer that I am looking for. VV is a theatrical art form of physical expression, story telling with strong sense of body movements, iconic signs, gestures, facial expressions. “I have been volunteering for Theatre of the Senses for four years and have helped with the development and philosophy of the group. 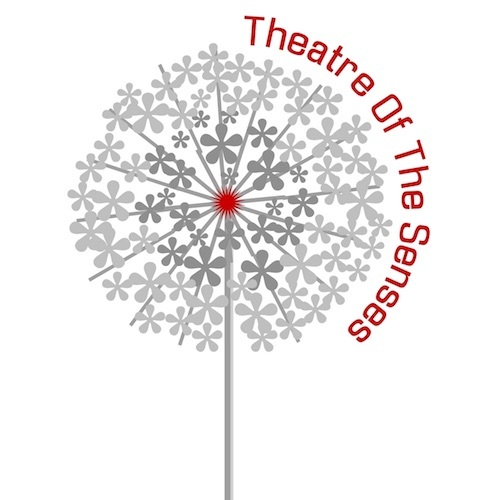 Theatre of the Senses has been my life line to restart my training, career and given me and other marginalised adults a social network. The bursaries will give me new hope to my aspirations to develop my skills has an artist within small-scale community touring theatre. It will help to raise my profile and give me a strong foundation to rebuild my career and will empower me. I will start to deliver some freelance hours on training workshops which will include warm ups, movement preparation, improvisation, scripted and group work to explore freedom of imagination and experience of performing. It will allow me and the group to develop leadership on the project. 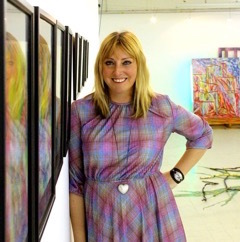 “Manchester born and bred I now base my art in Lancashire and South Wales. 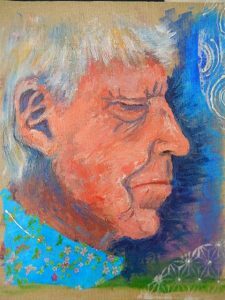 After an eventful few years, in which I had a brain haemorrhage, a stroke and epilepsy, I resurrected my art skills to redevelop my memory, adapt to working with my weakened limbs and manage my tiredness, developing positive outcomes. Twenty five years ago I completed a project on self-portrait and several years ago I attended a portrait painting course led by Tanya Raabe-Webber. I followed this up by painting my mother’s portrait this year. Hopefully in the next few weeks I will complete an updated self-portrait. 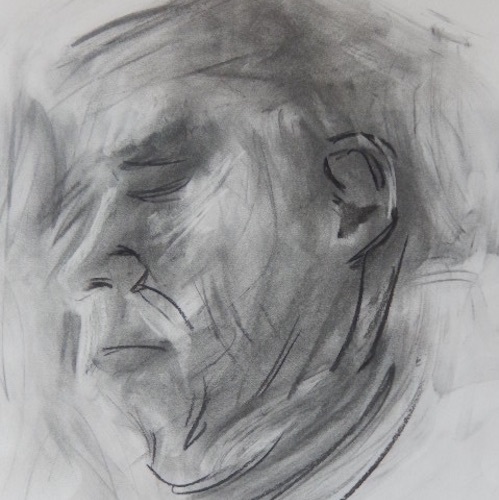 To develop my portrait painting skills I will be attending the Art and Anatomy course at Ruskin School of Art. Here I will learn how to structure a portrait based on the build of the skull, skeleton and musculature. Following the course I would like to paint portraits of artists with disabilities carrying out their artistic activities. I will use the skills I have gathered to understand how disability diversifies the body structure.